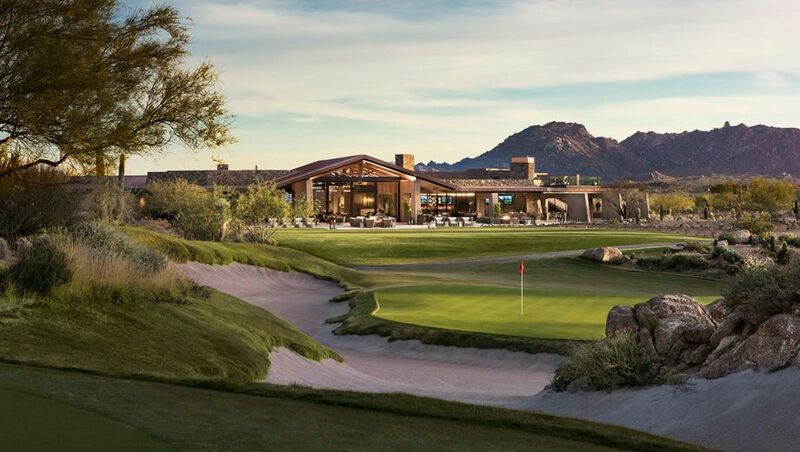 In 2013, GoDaddy founder Bob Parsons purchased a down-on-its-luck country club in Scottsdale, Arizona and set about giving it a US$300 million make-over which has transformed the tired grounds into a golf paradise with two courses, a second clubhouse and luxurious overnight accommodations. Then in 2015, Parsons launched PXG (for Parsons Xtreme Golf) – a golf-equipment company that markets drivers, irons, and putters the way Rolex sells watches. The sum includes a set of PXG clubs, custom-fitted at an on-site hyperdeluxe practice facility, and the opportunity to use them on the club’s courses. Wining and dining at the club is also part of the deal, though customers stay at the nearby Four Seasons resort; the sumptuous on-site villas are reserved for the club’s 139 members. PXG equipment is the result of Parsons’s own frustrated search for clubs to help his middle handicap game. He poached a few key staffers from Phoenix-based golf brand Ping and challenged them to design irons, cost be damned, that look like the minimalist clubs elite players use but are as forgiving as the chunkier game-improvement clubs that assist many amateurs. Woods, wedges, putters, and more irons followed. By all accounts, PXG clubs work well, especially because customers can’t buy them without personalized fittings by authorized professionals. Matching a player’s swing with the right shaft and clubhead can make a huge difference in performance. Parsons was aggressively unapologetic right out of the gate about the price. Drivers sold for US$850, irons for US$400 or more each. A 14-club set could come to US$6,000-plus - more than double what premium sets from mass-market companies go for, and four or fives times the cost of the lowest-priced ones. “These clubs are for those who can afford the best in everything they do and for people who aspire to that level,” Parsons said in November during a media event at Scottsdale for PXG’s new lineup of Gen2 woods, which despite a more modest price tag of US$575 are among the most expensive golf clubs sold by an American company. The media preview event also provided a glimpse at the club and the PXG Xperience. The primary clubhouse - Southwest architecture, exposed timber, blazing hearths – looks as if it dates from the 19th century, albeit with every modern convenience. 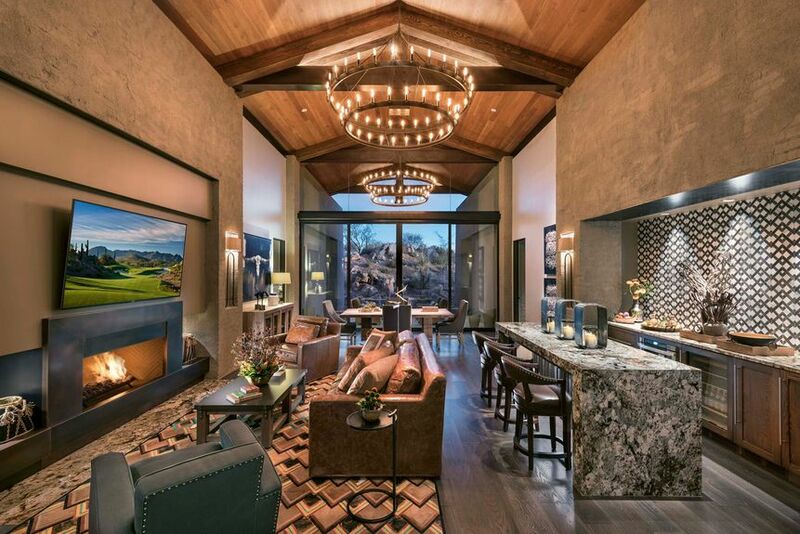 Inside the PXG House’s living room at Scottsdale National Golf Club. Among the first things Parsons did when he acquired the property (initial investment: US$600,000) was to entice many of its most active local members to resign by dangling a full refund of their initiation fees and laying out his expensive vision of the club’s future. That dream was to be an Augusta National of the West, with a limited number of mostly national, invitation-only members who’d visit a few times a year, usually with guests, and stay in the posh villas. Joining now costs US$300,000; annual dues are US$60,000. Members will also never need to rake a bunker. Hiding amid the tall cactus near most greens are laborers, rakes in hand, waiting to do that job for you. Service across the 700-acre property, bordered on three sides by protected wilderness, is impeccable. While chipping one day at the world-class short-game practice area – five separate greens, dozens of bunkers – I paused to chat with another visitor. When I turned back around, the balls I’d been chipping were stacked in a neat pyramid, I never saw by whom. At one end of the 400-yard-long driving range, PXG’s fitters had set up a station. They had an assortment of driver, fairway wood, and hybrid clubheads they could screw into shafts of different lengths and flexes. They could make additional adjustments to the clubhead, such as increasing or decreasing the effective loft, or adding or subtracting weight plugs to the sole. Every shot was tracked and measured by radar. The goal: to get the optimal launch angle, spin rate, and ball speed for each golfer’s unique swing. 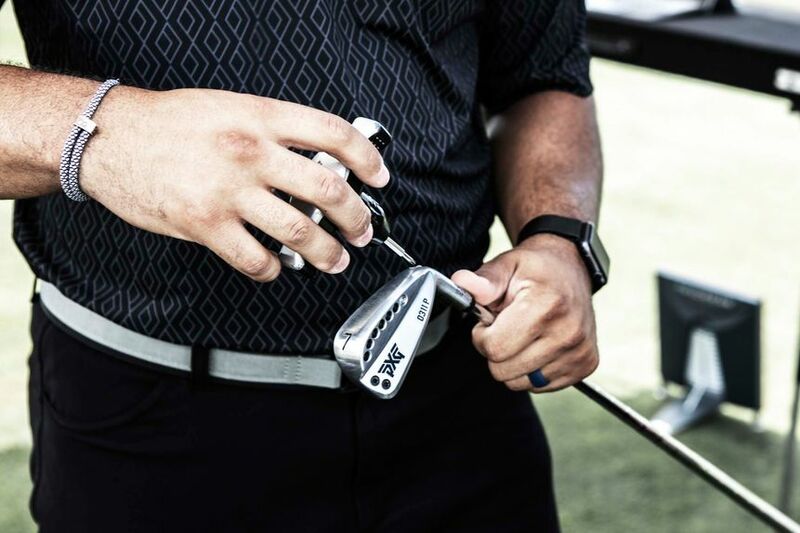 Experienced fitters tailor PXG clubs to each golfer’s unique swing. An experienced fitter like Smith could tell from watching me warm up approximately what shaft and clubhead I’d need. He was as interested in my mis-hits as my best swings, because that revealed where I could use the most help. For the driver, he changed clubheads only once – and then went back to the original – but we experimented with three shafts before getting the right one. The club Smith ultimately built for me was a half inch shorter than most manufacturers’ standard driver length, for better control, but I swung it three miles per hour faster than my old club and got five extra yards of carry distance. Parsons said he hopes to expand PXG substantially. The lower pricing is part of the strategy. 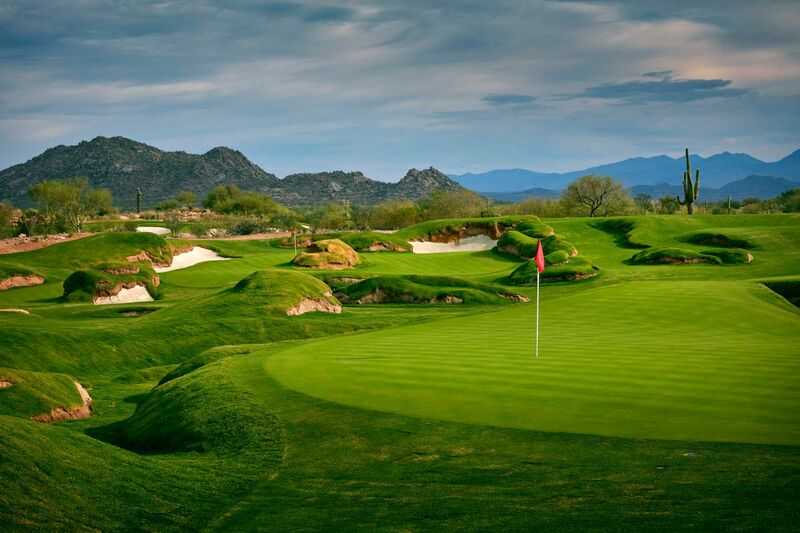 But profit doesn’t seem to be the main point, certainly not when it comes to Scottsdale National. That's exactly the way you’d imagine a golf-addicted billionaire would think. Pretty sure those irons look like Srixons. 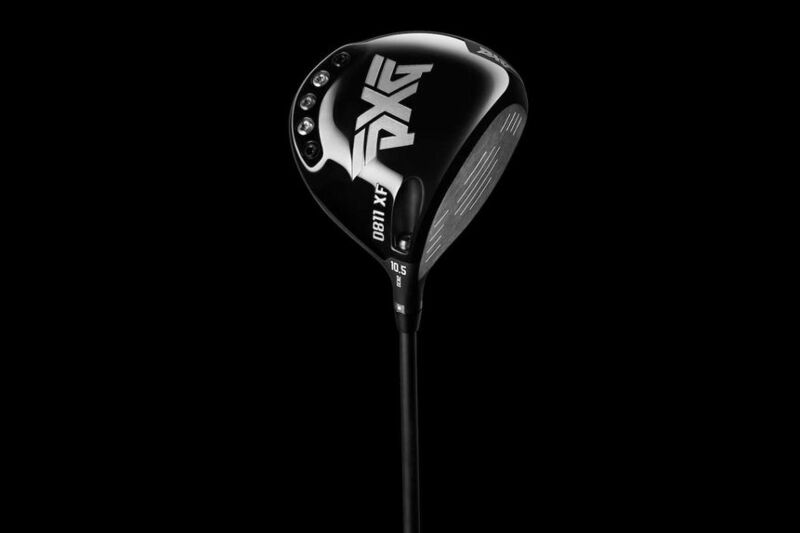 The driver is pretty standard like the Chinese made titanium models made for numerous Golf Brands. Good luck selling them at that price Mr Parsons but great job on the Golf Course and Clubhouse. 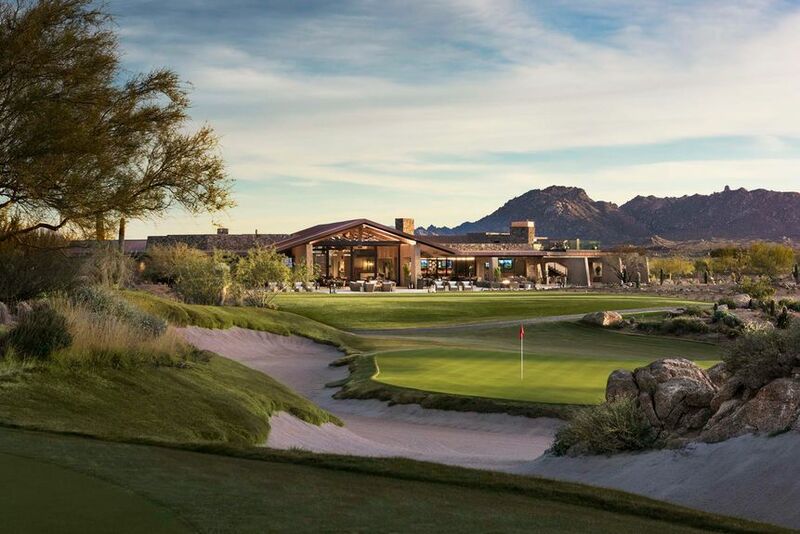 Comment on "Why the Scottsdale National is golf nirvana"